Put on your dancing shoes for a fun workout. Who says line dancing is only for the elderly? Sure, it may have been so once upon a time, but today, this dance form is being promoted as a means to a better health for people of all ages. Just ask country music recording artist Scooter Lee, the founder of Dancing for the Dream (D4D), a non-profit organisation that promotes dancing for health and raises funds for charity. Lee travels 200 days a year, performing and promoting the benefits of line dancing. Line dancing is a fun way to get in shape. “We meet lots of people who say they are not able to do things anymore because their back hurts, knee hurts etc, but we tell them, go line dance. Music is a mood enhancer, and when it is combined with line dancing, you feel good. A decade ago, Lee had skin cancer, breast cancer and uterine cancer and weighed a hefty 135kg, but she decided to do something about it. “I’ve been performing on stage since I was 15. I come from a family of alcohol rage, and emotional, sexual and physical abuse; so, like many, I found relief in food which helped me feed my emotions,” reveals the 51-year-old from Atlanta, Georgia. She’s in town with fellow American line dance instructors to conduct D4D workshops here. The D4D programme is a huge success in the US and was also held in Singapore a fortnight ago. 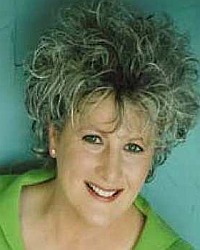 Lee is known for her perfectly phrased songs that are dance- and radio-friendly. There isn’t a line dance floor in the world that doesn’t play her songs which include Louisiana Hot Sauce, Who Did You Call Darling, Dizzy, Rompin’ Stompin’ and J’ai du Boogie. But the irony was that while her songs were being used by line dancers, she herself wasn’t line dancing. But slowly, Lee set herself on the path to recovery. The damage to her organs and joints were irreversible but she managed to shed 75kg in five years. Lee took it one day at a time. “To have a big dream, you have big obstacles but when you get over them, the rewards are big,” she says. After much research, Lee, together with Jo Thompson, a line dancing choreographer, started D4D in 2003 to spread the message that line dancing does wonders for the body and brain. D4D’s dance levels are for starters, beginners and the experienced (not to be confused with advanced). Many seniors have been dancing for years but choose not to do high-impact dances. “As we age, we deal with pain, arthritis, high cholesterol and high-blood pressure. High-impact dances only aggravate these conditions. For this reason, we stay with good, easy, fun-to-learn and fun-to-do, low-impact dances. We add variations for the more experienced dancer so everyone dances at his or her level. “Even those with walkers and crutches can participate but not those in wheelchairs. We guarantee that if you come for our workshop, you WILL be able to dance,” she says. These days, Lee still experiences pains from the abuse done to her body over the years. But, she religiously adheres to a diet and exercise programme, which of course, includes line dancing. 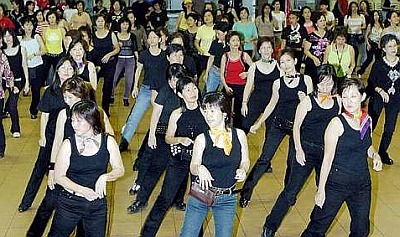 Because line dancing is low impact and weight bearing, it can help build strength, increase muscle mass, regulate body temperature and reduce body fat levels. Whether it’s counselling prisoners or sharing an encouraging word with a “survivor”, Lee is indeed vocal and passionate about what she does. 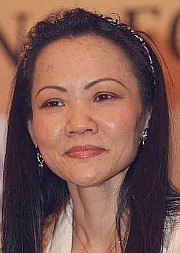 Meanwhile, Wendy Chan, chairman of D4D Malaysia, is excited about her pet project and hopes to make it an annual affair. “Everyone should have the opportunity to experience the health benefits of line dancing. It’s actually the second most popular extra curricular activity in the world, using all kinds of music, especially country music. And, it’s not only for the old! We’ve had a lot of children’s workshops as well,“ says Chan, also a cancer survivor. Various workshops were held earlier this week and D4D will culminate in a charity gala dinner tonight at the One World Hotel in Bandar Utama, which will feature Lee and other line dancers. Tomorrow, families can join the D4D carnival at Sunway Lagoon Surf Beach from 8am to noon. About 18,000 people are expected to participate in the carnival and there will be games, contests, a funfair, treasure hunt, lucky draws and dance performances. Proceeds from the D4D will go to Kurnia Dialysis Association, Ti-Ratana Welfare Society and Children’s Cancer Fund. Tickets for tonight’s gala and tomorrow’s carnival can be purchased at the respective venues or by calling 012-278 1263 (Josephine), 012-383 8843 (Wendy) or 016-652 5153 (Edmund).